GSMArena team, 14 July 2016. 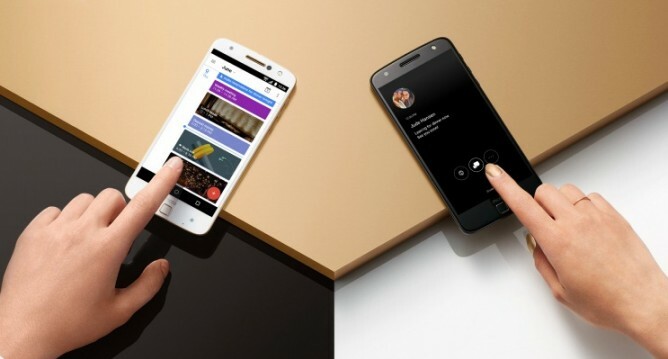 The Lenovo Tech World brought us the Moto Z and Moto Z Force not that long ago but the US launch of the devices was just made public with Verizon introducing the Droid Edition versions of the two flagships. Moto Z Force will be exclusive to the US so we couldn't wait to get our hands on one at the launch event. Motorola and Verizon lead a successful Droid promo campaign in the early days of Android and deserves a lot of credit for the success of the nascent OS. The partnership is still strong and the US carrier occasionally gets an exclusive version. For now at least, the Force version of the phone is available in the US only. The Moto Z Force Droid Edition brings a big battery, 3,500mAh while being only slightly thicker - at 7mm it's still impressively thin. The 5.5" AMOLED screen with QHD resolution also has ShatterShield - two panes of glass make sure the screen doesn't crack when you drop the phone. The regular Moto Z Droid Edition settles for a single Gorilla Glass pane. Those are the key differences between the two Moto Z Droid Edition phones, you can see why we're eager to get our hands on the Force version.